Crystals and minerals have a long history of being used as talismans, protectors and as a source of healing. In China, for example, jade was revered not only for its beauty but also as a source of wisdom, its power to dispel negative energy, and for its ability to heal disorders of the kidneys and bladder. 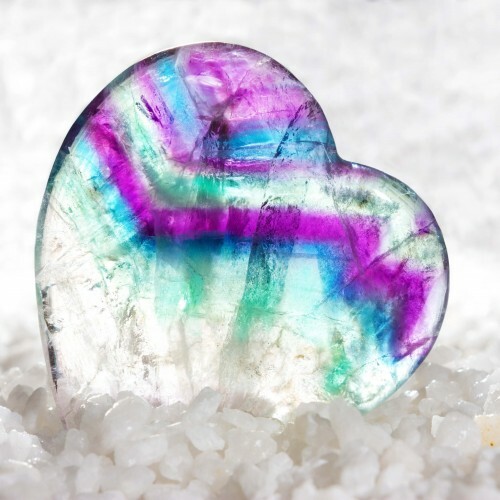 Modern crystal healers regard illness as a symptom of blockage or disharmony within the flow of subtle energy around the body or through the chakra system and will use a variety of stones, often laid out in geometric patterns or grids, on or around the client's body to bring the energies back into alignment and restore equilibrium. Particular crystals can address different conditions: brown striped Jasper can be used for emotional upset or scattered energies as it brings comfort whilst centring and grounding.